Under the Thai Criminal Code, the offense of cheating and fraud is committed if a person deceives another through an assertion of any falsehood or by concealment of facts that should be disclosed or revealed in public. In order for the offender to obtain the property of the person so deceived or to cause the person deceived or a third person to execute, revoke or destroy an existing document that confers a right. Be aware of land scams in Thailand. Hence, if the offense is committed under any of the above-mentioned circumstances, the penalty shall be an imprisonment for not more than 5 years or a fine of not more than 10,000 baht or both, at the discretion of the court. If the offense of cheating and fraud is committed against ten or more persons, in order for the latter to work for the offender or another person with intent not to pay the wages or remuneration, or pay them with lower wages or remuneration than those agreed upon, the offender shall be punished with imprisonment for not more than three years or shall be fined to pay 6,000 Baht or maybe both imprisonment and fine. Under the same Thai Criminal Code, any person who orders or consumes a food or a drink or stays in a hotel, knowing that he has no capacity to pay for such shall be punished with imprisonment for a period not to exceed three months or a fine of not exceeding 500 Baht or both. An offender shall be imprisoned for a period not to exceed two years or shall be ordered to pay a fine not exceeding 4,000 Baht or both if he induces another person to take the property of another person for himself or in favor of another person to the detriment of the former who was deceived because of his weak mind, or because he is a child who lacks intelligence, making him unable to understand the consequences of his actions that pertain to the disposal of his properties. In Thailand, whoever maliciously cause danger to the insured property in order to obtain the benefits from such insurance policy shall also be punished under the Criminal Code of Thailand by an imprisonment for a period not to exceed five years or a fine of not more than 2,000 Baht or both. The offense of cheating and fraud may lead to criminal prosecution under the Criminal Code of Thailand or civil prosecution under the Thai Civil and Commercial Code or it may lead to criminal and civil prosecution. 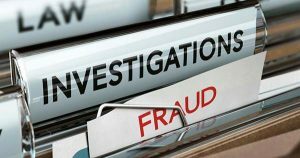 It must be remembered that fraud in Thailand, the offenses of cheating and fraud as above described are considered as a “compoundable offense”. Hence, being as such, the offense and its penalties may be compromised, at the discretion of the offended party. If you are in need of a criminal lawyer in Thailand then ensure you have a lawyer before you arrive at the court. I have an issue with fraud amongst a wedding film production company that my wife and I paid in almost a Year ago and still has not responded with anything convincing to when we would receive our video. My wife and I are willing to take legal action to his illegitimate company, in hopes to 1. get our documented wedding, 2. prevent others from this deception and 3. bring awareness to his company. Please advise me on how I can approach this issue. Thank you for contacting us regarding your enquiry. Your concern has been forwarded to our Litigation department for further advise. Please expect an email from us. Fraud occurs on a daily basis in the real estate business on the agency/broker level. Do you have any advice how to report it and/or deal with it in a lawful manner? 3. Requesting the deposit to be as low as possible e.g. the deposit/ reservation fee/ agreement fee should not be higher than 10% of the purchase price. Ideally, the deposit should not be higher than 20,000 – 50,000 THB. If it has to be higher than this amount, you should seek a proper legal advice prior to entering into the agreement. The above options are some of the options which may help reduce your risk on the default made by the Seller or fraud on the agency/ broker level. Please advise how I can go about finding this fraudsters. I Suggest that in able to have an assistance from the authority you must first file a criminal case against them, but before that hire a litigation lawyer so that it can help you on legal procedures upon tracing those scammers. Any advice on reporting a Jet ski scamming operation in Patong? Just happened to us today. They deal with any kind of complaints here in Thailand. I think you will have to download their app before you can file your grievances. Copyright © 2019 Thailand Law | All Rights Reserved.